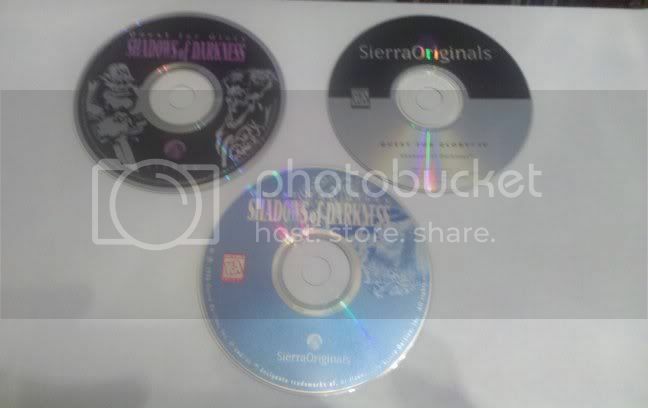 So the upper left one is from the original release of the game, and the upper right one is from the first re-release of the game, which was sold just in its CD-ROM jewel case with no big cardboard box. Does anyone know for sure where the bottom center one came from? I have only been able to find it in plain white sleeves.